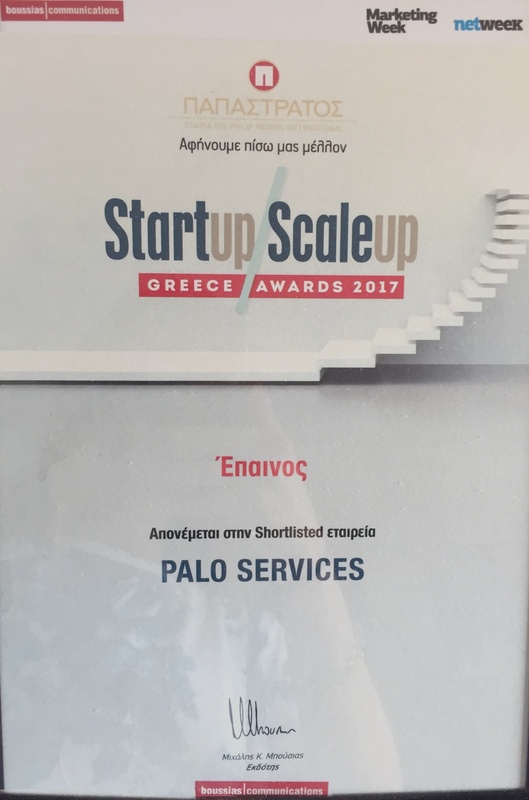 Palo Ltd was founded in 2008 and launched Palo.gr, the first news search engine in Greece in early 2009. Today, the company offers content services for consumers and brands. Palo website service is a powerful news search engine that offers real time personalised news-reading experience by aggregatting and organising in categories all news. The news aggregation, organisation and summarisation are fully aytomated processes based on innovative algorithms. It is currently available in 5 countries Greece, Cyprus, Serbia, Romania and Turkey. 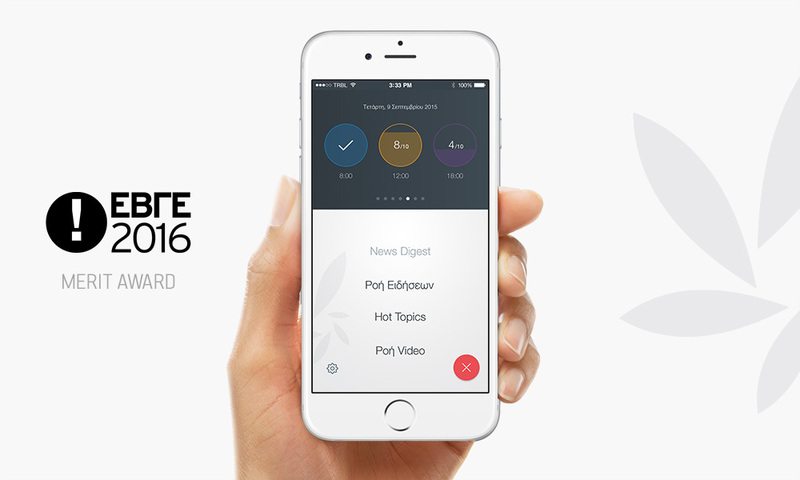 Palo News Digest is the first mobile application that presents daily the top ten news in summaries , produced real time with the use of AI. An award winning app! PaloPro is an innovative, awarded platform for the online reputation of companies, brands, products, organizations and people. Our tool analyses approximately 80.000 mentions per hour and using cutting edge linguistic technology delivers high accuracy search results with over 95% precision. The company presently covers geography with a population of 120M. The plan is that by 2017 it will be covering geography of 250M. Its target is to have coverage of CEE, South Eastern Europe and the Middle East by 2019. Paloservices’ intellectual property and technologies have been protected since March 2019 through a patent application filed at the United States Patent and Trademark Office, under the number 62813787 “Patent Pending“. 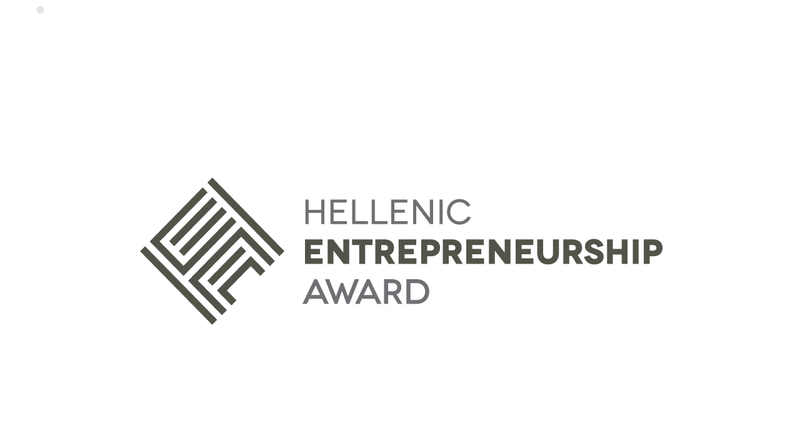 Paloservices shortlisted in HELLENIC ENTERPRENEURSHIP AWARD 2017. 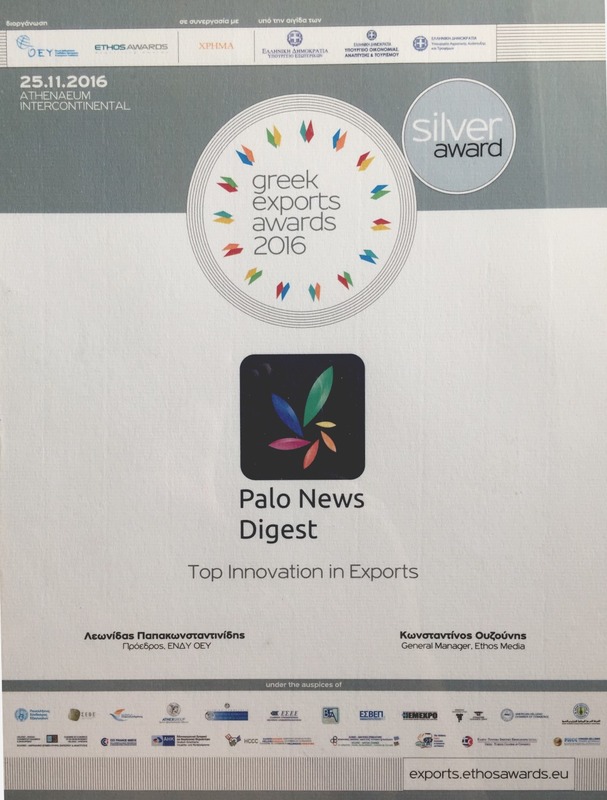 Palo News Digest was awarded in the “Top Innovation in Exports” with the Silver Award at the “Greek Export Awards 2016”. 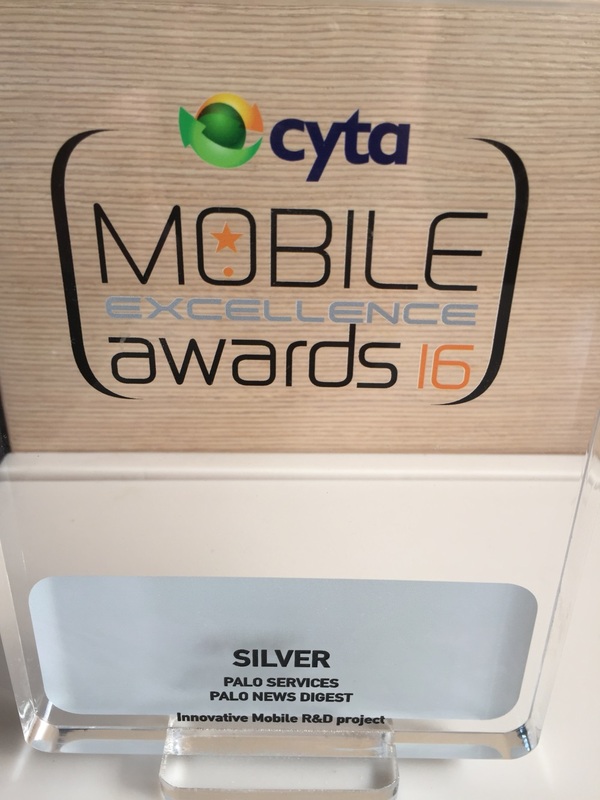 Palo News Digest won the Silver Award at the “Mobile Excellence Awards 2016” at the category “Innovative apps”. 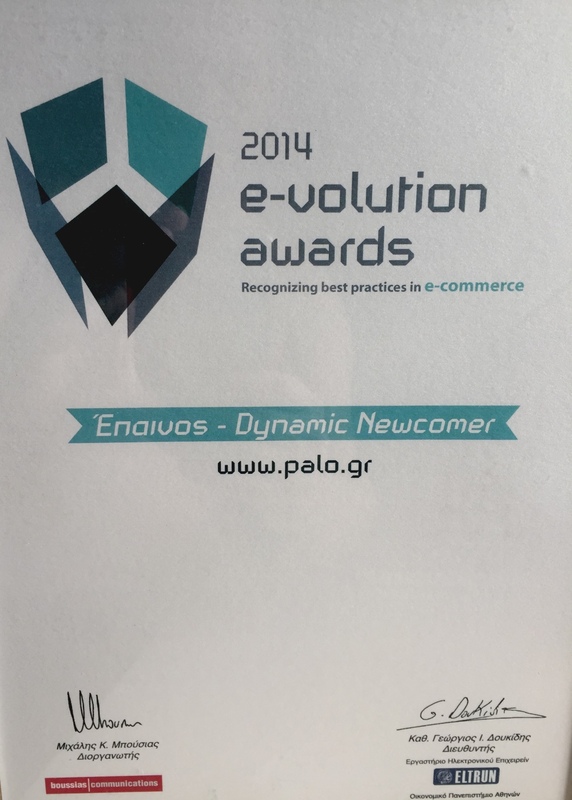 Palo Pro was awarded at the “E-volution Awards 2014” as a dynamic newcomer. In 2013, palo.gr was awarded in the “Research and Development” category at the “E-volution Awards”.